Mr Ogunade, who is the president, Voters Awareness Initiative, spoke with NAN in Lagos, while assessing Mr Ambode’s performance ahead of his exit from office next month. 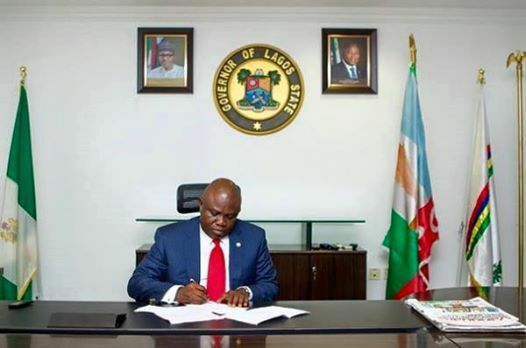 Ogunade said Ambode started well as he continued on the development progress of his predecessors. “In fact, Gov. Ambode should have surpassed his predecessors, but unfortunately he got carried away by power. He saw power as a means of getting himself above the system and I believe the system overwhelmed him. He is a technocrat, and unfortunately he did not take into consideration the political structure that brought him in. And of course, as election time came, the same political structure did away with him. “I hope that it is a lesson that no matter how good you are, you must not lose touch with the political structure or the people, because the Governor at some point cut off the people. That was why he only had the support of the few friends he worked with and not the people,” he said. Mr Ogunade urged political leaders to learn from the mistakes of Ambode and carry the people along in their administration. “So, my advice to politicians is that the people must be factored into your political life, because as a President or a governor, you have to live a multidimensional life. You are a family man, a party man, chief security officer, head of civil service and the father of all, and you must carry everybody along because everyone matters,” he said.